Awesome work as ever brother! That cricket bat is a beautiful touch ;) Looking forward to seeing what comes next! Comes to mind when I look at these guys. I understand the monotony can be a drag painting the same thing over and over but look at the result. A very smart looking army. I like these guys a lot as I’ve always had a Fascination with Rourkes Drift. In fact any “against the odds” fight interests me. 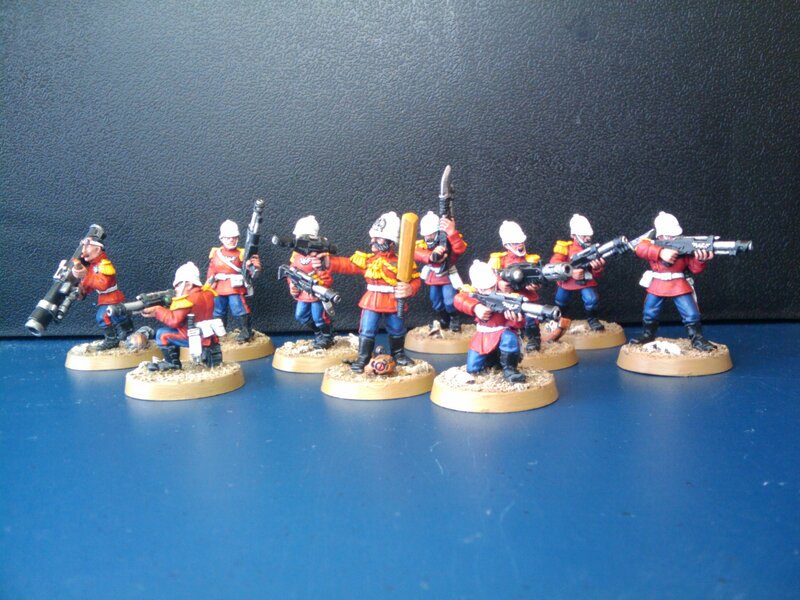 The Praetorians are so expensive these days but I did buy some Warlord British soldiers I haven’t even glued together yet. One day I’ll do a Rourkes Drift Diorama. Great looking army mate. 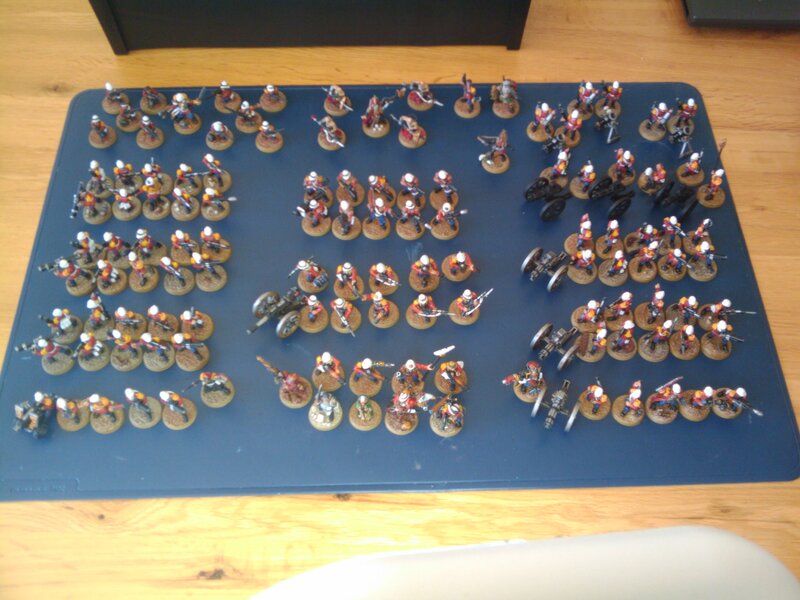 Im about to paint my praetorians. Just wandering what colour undercoat/primer did you used. Tossing up between white to make it easier for those bright colours or black. Thanks mate – I always went with a black undercoat for mine, I figured that I would get a more subdued effect that way rather than a cartoon-bright finish… I never did try one with a white undercoat so I don’t have any comparison though :-/ Anyhow, good luck with yours mate! Cheers… i laughed when i saw the sergeant with the cricket bat.